George, as you know from our previous conversations, there are many ways of looking at things. Multi-dimensional is the term we have used. Of course, when we conceptualize and analyze things based on a multi-dimensional model, it complicates things and people are easily overwhelmed. Therefore in this conversation let's keep things simple. The fourth principle of Unitarian Univeralism is to affirm and promote the free and responsible search for truth and meaning and you asked me, George, how a person is supposed to live his life based on this principle. The best answer I can give you is to ask yourself when you wonder what the best decision is to make is, "What do I want to have happen?" 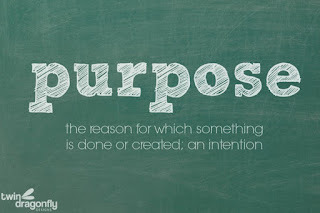 In other words, what is the purpose? What is the purpose of this relationship, of this action, of this situation? What is the goal you want to achieve? Once you are clear about your goal, then you can ask yourself, "How can I best make this happen? What will it take?" These two questions, George will provide you with meaning. Then after you have clarified what you want to have happen and how you want to accomplish that then you can ask yourself how your efforts are working for you. That evaluation provides you with the truth of the situation, action, intent. People, George, are often confused because they are seeking pleasure, or relief from stress and anxiety, and they behave in ways that leave them feeling like victims being battered and controlled by circumstances not of their choosing. If they were to step back, get things into perspective, and ask themselves, "What do I want to have happen here? What is the purpose of this situation/ relationship?" they will have entered into a mindful state which is conducive to creating an experience of peace, and peace is the litmus test for achieving truth and meaning. I like the bumper sticker which says, "Change is inevitable. Progress is optional." What we UUs are striving for by the implementation of our fourth principle, George, is progress, progress towards the betterment of humankind and the world. The purpose, by the way, of our relationship is to help each other grow in understanding and wisdom and I like the way it is working and it gives me a great sense of well being and peace. Many thanks for participating in these conversations with me.